Immerhof Fort, located at Hettange-Grande, close to the from whicht it takes its nome, was serviced by 198 men. 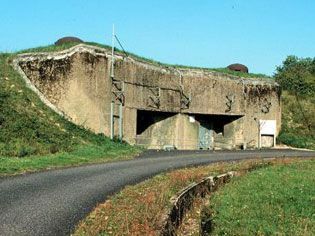 It ensured continuity of artillery between the Molvange and Soetrich fortifications, which were constructed in the open air between 1930 and 1935. Today the fort is in perfect working order. To reach the fort, leave Thionville and head towards Volmerange-les-Mines via the CD 15. The fort is located in a natural stting, surroundeb by a forest, with easy access. Free for least of 7 years old.